Churn isn’t as evil as it’s made out to be. Yes, your customers are leaving and no, that is not great. But if you’re willing to stare down the beast, it’s actually one of the most valuable metrics for creating a positive user experience within your product. Churn prevention is actually a wonderful opportunity to improve the user experience. Churn helps you identify where your product is falling short—and compels you to create a roadmap for continuous improvement. In this post, I’m going to explore how you can prevent your customers from churning while simultaneously promoting deeper customer relationships and improving the user experience. First things first, you have to look at churn the right way. Oftentimes, customer retention can feel a bit like damage control. You’re constantly running around trying to hold on to as many “at risk” customers as possible, then desperately trying to re-engage and resell to them. But if you shift your perspective from damage control to opportunity development, you’ll find that churn shows you exactly where you can create a better experience for your users. I talk about this alternate view of retention a lot, and it all boils down to one common pattern of behavior: Customers either churn out or they dig in. But what does positive churn prevention look like? It looks like a customer-centric product. It looks like a product and a brand that customers enjoy using and engaging with. It looks like a tool that promotes success for its customers, above all else. When you start looking at churn prevention from this angle— as a way to improve the user experience so fewer users want to leave in the first place—not only will you improve your churn rate and the user experience, but you will free up time and resources that may have dedicated to trying to do last-minute saves. Put yourself in your customers’ shoes. Experience your product as a customer would. Most of your customers will take a similar journey with your product. They will follow a predictable—mappable—path, with common crossroads where customers are forced to pause and reevaluate your product. 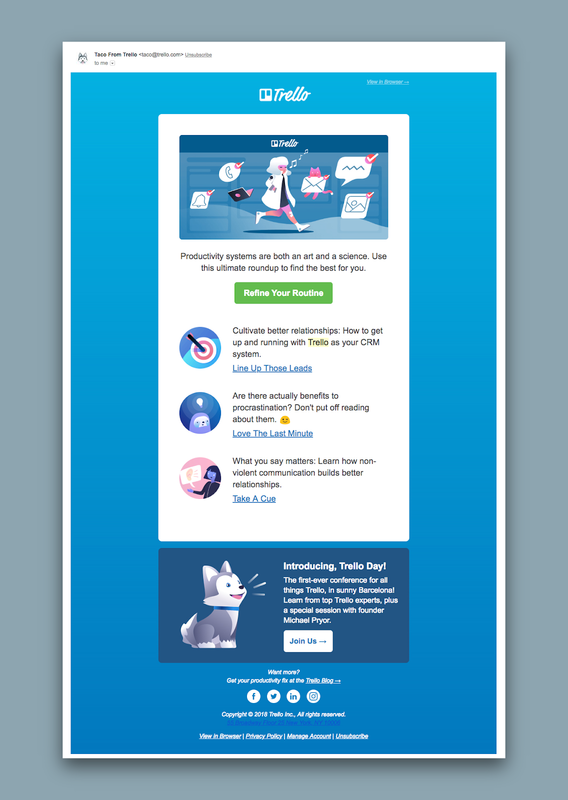 These crossroad moments are events like onboarding, activation, a customer support complaint, a new feature announcement, etc. These are moments where you can either go above and beyond to provide the best user experience possible, or fall short. And when you fall short, your customers have negative touchpoints with your product—the more they have, the more customers question your worth, and the more likely they are to churn. Seems pretty simple, right? After someone complains about a feature, is there follow-up? After a customer has their first big success with your product, do you celebrate with them? If a payment fails, are you badgering your customer or creating a positive experience during this high-risk time? Churn prevention doesn’t have to feel chaotic. Apply user roadmaps to your retention efforts and you’ll quickly spot places where you can improve the user experience, create a positive and engaging environment, and create loyal customers that will stick with you through thick and thin. Earlier in this post, I mentioned getting customers to “dig in.” Essentially, this means encouraging your customers to invest more deeply in your product so they use it more often, connect with your team, find success, and enjoy their experience from start to finish . And while there are hundreds of ways to encourage a deeper investment, there’s one that rules them all: customer engagement. Engaging with your customers consistently is not only enjoyable for your team (because connecting with other humans is really what we’re all here for), but it’s enjoyable for your customers as well. They get to know your brand, your team, your mission, and how you can help them succeed. And all of these things add up to a positive user experience and a reduction of churn. It’s a win-win-win. When done with authenticity, customer engagement is ultimately what will make your product invaluable to your users. And when something becomes invaluable AND enjoyable, people probably aren't going to walk away from it anytime soon (see: coffee). When you map out your user journey like we discussed above, you’ll find that your churn prevention strategies at each crossroad usually revolve around engagement of one kind or another. A new feature comes out? You better be educating and engaging with the release. A customer refers you to a friend? A personal thank you and celebration could be the last thing they needed to stay forever. There are thousands of ways to improve the engagement with your customers. Drift, for example, essentially turned their business into a reality show—and it worked! Because it’s engaging and fun. Don’t be afraid to think outside the box. Test something new, throw out a wild idea, have fun with it! Ultimately, all businesses are about people. Whether you’re selling directly to consumers or to other businesses, your primary goal is to help others succeed. Everything you do should reflect that mission. Throughout every step of your customer’s journey, you should be putting them first, finding ways to provide the best service and the most enjoyable experience. The more you treat your customers like humans—instead of numbers on a screen—the more likely it is that your product will succeed. That’s because user experience and churn go hand in hand. Every churn prevention strategy you set in motion should focus on making your users’ experience as positive as possible. To wrap it all up with a bow: The more a customer enjoys your product, the less likely they are to leave. It’s as simple as that.